Roughly 80 percent of the world’s inhabitants don’t speak English as their first language. If you plan to reach an international audience, you need to start thinking about website translation and document translation services, depending on where your content will be published. This involves thinking about your international readership as you write, and keeping in mind any elements that are likely to need localization, as well as translation. Even in English-speaking countries, phrases, images, and words can have different meanings. For example, the word “football” has a different meaning in the UK than it does in America. Like most languages, the characteristics and traits of English differ in different regions. So while your content in English-speaking countries may not need translation, you will need to localize it so it’s relevant to your target audience. Before you start writing, consider if your project will need translation, localization, or both. If yes, use strategic planning to ensure a good outcome. If you’re working on your own project, rather than writing for a client, consider the need to find a good translation and localization specialist. If you’re working on a book or essay, you may also need a foreign-language editor. Think through how involving these parties will affect your timelines and ensure that your writing project has sufficient time built in for any delays. If you’re working with a client, it can be helpful to create glossaries and style guides as your writing project progresses. (These may even be something the client will pay extra for as they can use them on future projects.) Each translator working on your document can use these to help them produce similar and consistent results. Crafting content for localization is a little different than writing it in your native language. There are several steps you can take that will help the process flow smoothly as the copy passes from one phase to another. The first thing to keep in mind is logistical considerations. Across English-speaking countries, there are differences in date and time formulation. In the U.S., the standard is month/date/year, but in most other parts of the world, the date/month/year format is used. Of equal importance is the currency used in your target market. You may also need to format addresses and phone numbers differently during the translation and localization process. You should avoid acronyms and abbreviations, if possible, as these can be difficult for the translator. If you have to use acronyms, make sure you give the full phrase followed by the abbreviation in parentheses when you first use it in your content. A definition list for acronyms should be part of your glossary and style guide so your translator can use it while localizing the document. Be consistent with terminology. Even though this takes some of the creativity out of writing, it will make it far easier for a translator to work on your content when they don’t have to find definitions for new and complicated phrasing. And speaking of complications, keep it simple! While you don’t need to dumb down the content for your international audience, writing in short, simple sentences and paragraphs allows the language services provider more room to work within the translation. Avoid using slang, jargon, sarcasm, or trendy catchphrases, as the meaning of these words can get lost in translation. Be careful about the use of humor, as well. While you want your content to be engaging, what is funny in one culture can be offensive in another. 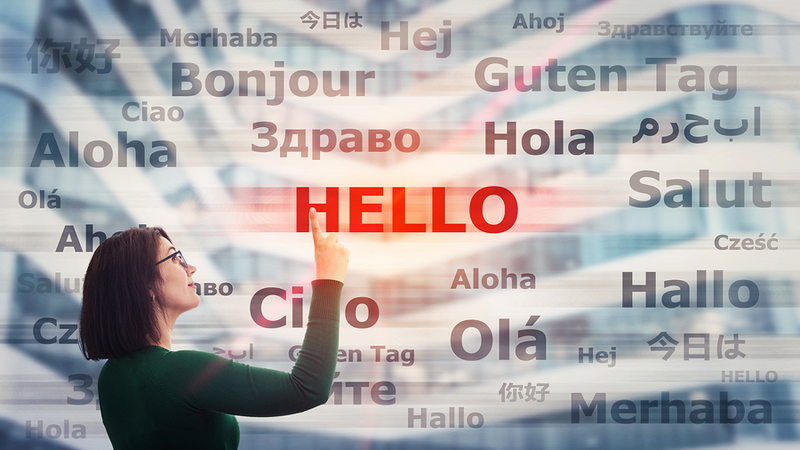 A localization expert will likely be able to point out the subtle differences in regional colloquialisms and help create a translation that will be culturally relevant to your prospective audience. It can be challenging to create a high-quality translation that is consistent across many languages, but if you want your writing to have an impact on a global scale, you need to be able to communicate your messages effectively and in a way that won’t get lost in translation. Not only can high-quality content lead to increased exposure for your writing, when you write for translation and localization, it shows a high level of respect for your readers. Don’t forget to think about the tone you use for the region you are writing for. Friendliness in one culture can come off as being unprofessional or too intimate in another. Likewise, a formal style of prose that will be well-received in one culture may seem too official or old-fashioned in another. Good translation and localization takes into account these nuances and variations, so be sure to discuss issues of tone and style with your translation and localization professionals. The internet has made it possible for your writing to reach a broad number of audiences who speak a variety of languages. To be effective, keep these tips in mind, and you’ll write messages that are easy to translate and that resonate with your intended reader. Louise Taylor is head of content at Tomedes, a localization and translation company specializing in more than 90 language pairings. She has been fascinated with language since she was very young and speaks multiple languages. Her current focus is on improving her Spanish.